At REO Mechanical, we understand that HVAC equipment is an investment in your business, and believe that our innovative, forward thinking designs will provide seamless building air systems, so that you don’t have to worry about the heating/cooling systems in your facility or office, and can get back to the more important work. We are experts in HVAC. Our team of mechanical engineers, and talented technicians are committed to providing our customers with the highest quality HVAC solutions. Every facility/building is different. Different environments, different processes, different demands, different equipment…no two are alike. At REO Mechanical, your facility is treated like it’s the only building out there. We’ll listen to your issues and concerns, and treat your operational goals as if they were our own. We’ll study your mechanical systems and provide recommendations that will be benefit your specific facility. 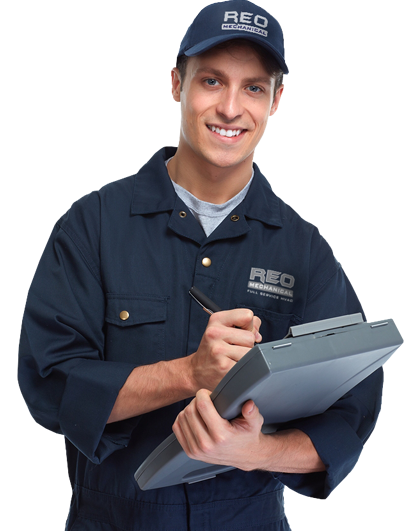 Focused on energy conservation, REO Mechanicals Maintenance Programs deliver exactly what you’re looking for: A clear, concise plan of action to save thousands in energy expenses. Customer service is fundamental to our success. Apart from 100% customer satisfaction in the installation of HVAC equipment, REO HVAC aims to develop strong customer service relationships that aid in the communication of future maintenance, repairs or services for your equipment. We view our customers as business partners, and the ongoing success of their business operation is the groundwork for our success as an HVAC service provider.